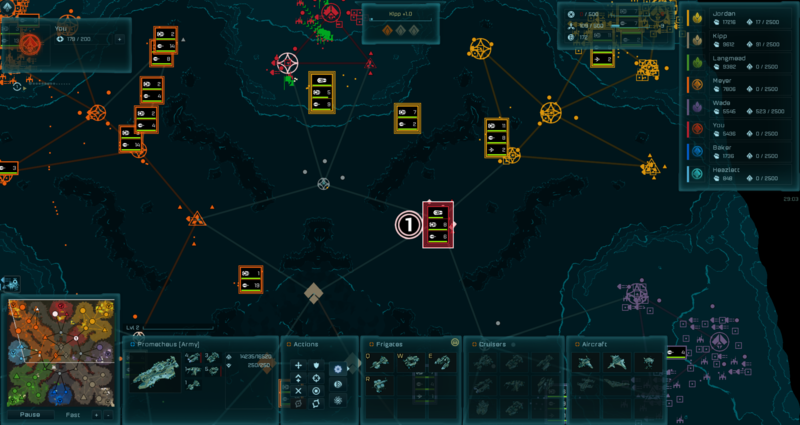 Over a dozen scenarios will require you to play at your very best in order to beat difficult objectives. Specific "Challenge" scenarios will require nearly flawless execution of everything you've learned and will make even the most veteran of players work hard for their victories. 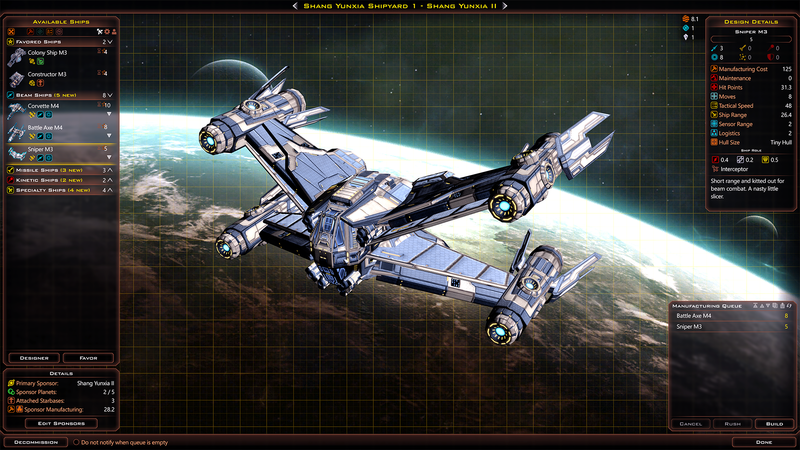 Blue Chip Ventures is $4.99 and is available through Steam or at Stardock. 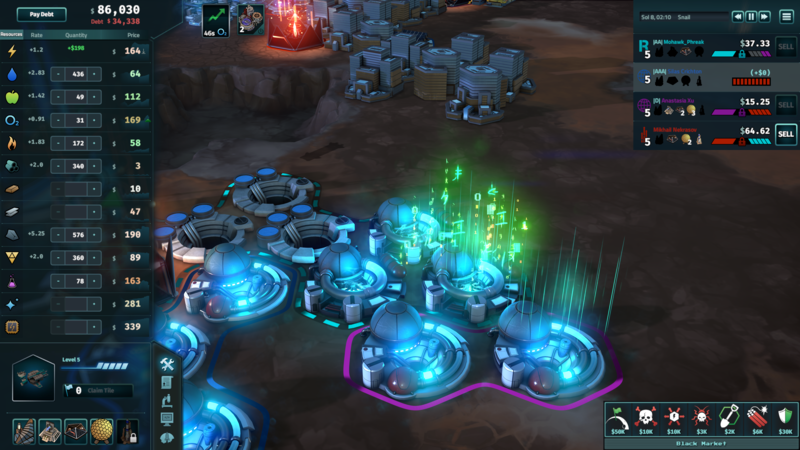 Stardock loves real-time strategy games. 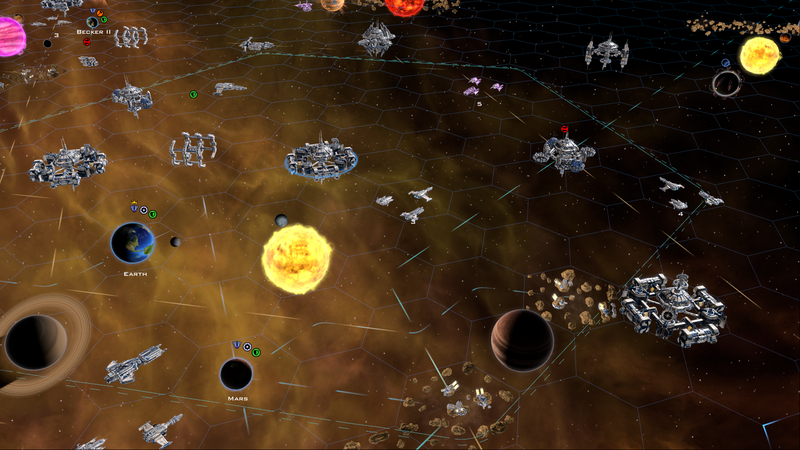 Our customers love real-time strategy games (Sins of a Solar Empire remains our best selling game of all time). And we want your opinion on something important to us. When Stardock sold off its digital distribution business to GameStop in 2011, we took that capital to help found a number of new studios including Soren Johnson's Mohawk Games, Mothership Entertainment, Stardock Towson and Oxide Games. Our goal was to build new technology and studios that would create innovative new games. In short, we've been pretty busy. 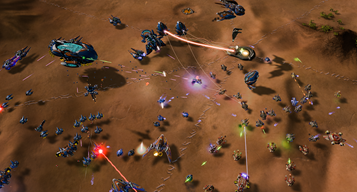 Of these new games, the first to ship was Ashes of the Singularity. It is the first game to use the new Nitrous engine developed by Oxide Games. Nitrous is an amazing engine and all our new games are standardizing on it. What makes it special is that it is core-neutral. That is, the more CPU cores you have, the more it can do. 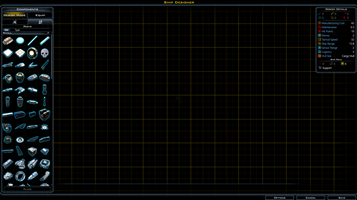 It scales almost linearly as you can more CPU cores. This means we can do interesting things like object space lighting, handle thousands of light sources, do all kinds of interesting things with AI, simulations, etc. Since Ashes of the Singularity was the first engine to use it, we were cautious as to how much we would invest into the game itself. Nitrous is amazing but it was new. And the things we were trying to do had never been done before. There was no DirectX 12 or Vulkan when we started working on it. We were building it based on the theory that such a graphics platform would have to be made and got super lucky that they were made before the game shipped. On DirectX 11, you need a pretty powerful machine to run Ashes of the Singularity (on DirectX 12 or later Vulkan, you can run it on a potato practically, that's how much better DX12/Vulkan are). But, like I said, there was no DirectX 12 or Vulkan back then so we designed the game to appeal to as many people as possible while still showing off what the engine could do. If all went well, the game would sell around 50,000 units in its first year. That would be a very respectable release for a game that could only run on a fraction of the PCs available at the time. I can't even begin to tell you how much of a game-changer DirectX 12 was. Suddenly, this game that was going to require a monster machine to run could run on much more reasonable hardware. That's because DirectX 12 lets every CPU core talk to the graphics card at the same time. 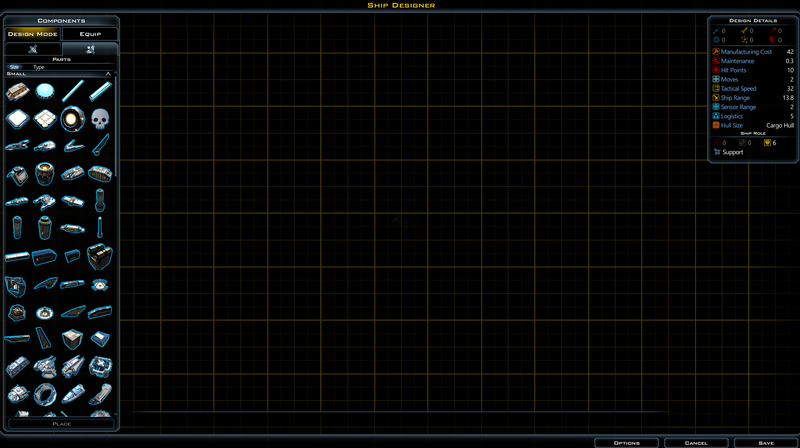 On DirectX 11, only 1 CPU core can talk to the GPU at once. As some may recall, people were dubious about the game's benchmark results on DirectX 12. But as people quickly saw, it was a massive difference. During the early access program, there requests, often strident, for features that we felt would alienate the mainstream gamers. While we personally liked the features they wanted (upgradeable defenses, strategic zoom, more unit progress, etc.) we felt that this would create a learning curve that would keep us from even getting to the mere 50,000 units we hoped to sell to break even. When the game shipped, it quickly reached a user base of over a hundred thousand players not counting the hundreds of thousands of players who got the game as part of their video card purchase. 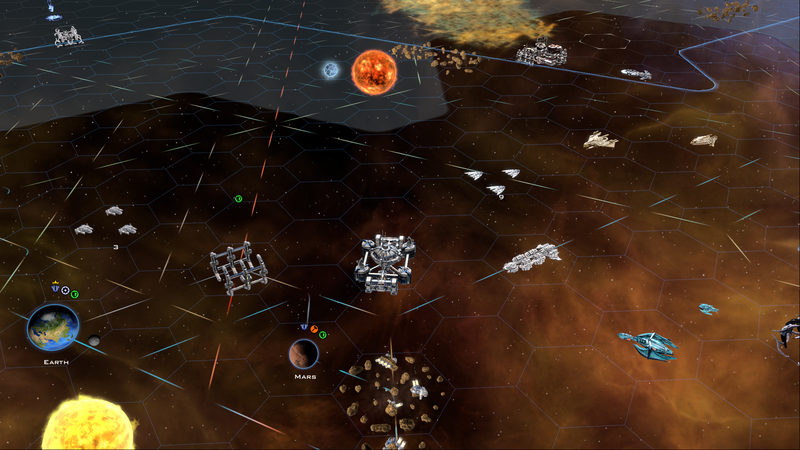 It also became apparent that many of them wanted an RTS a lot more depth where depth meant things like strategic zoom, upgradeable defenses, more resources, lots more unit classes, etc. But doing so, we felt, would be a bait-and-switch. I realize that some hard-core RTS fans can't imagine not wanting to have dozens of unit types but as someone who has tried and failed to get their friends to play FAF, learning curve matters. 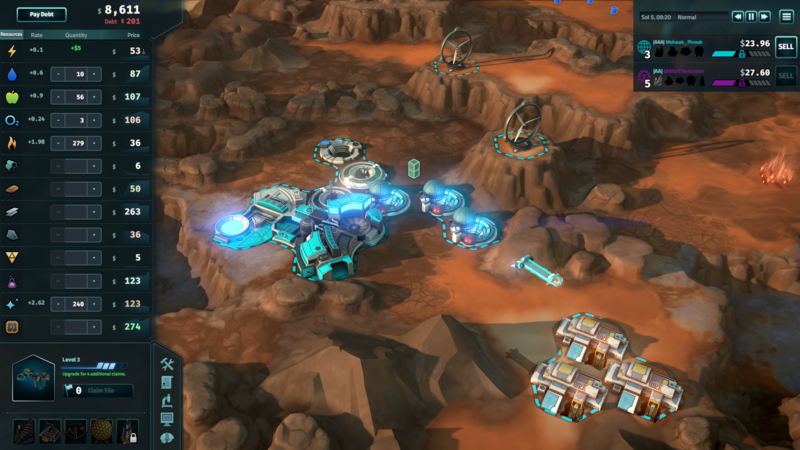 So we decided to create a new SCU for those players who wanted a "bigger" RTS. Escalation. Last fall, Ashes of the Singularity: Escalation was released. It's a stand-alone game with an $20 upgrade price for people who have the base game. It got universally favorable reviews (lowest review being a 75) in the media and has a 81 Steam score. Meanwhile, the base game didn't fare as well . 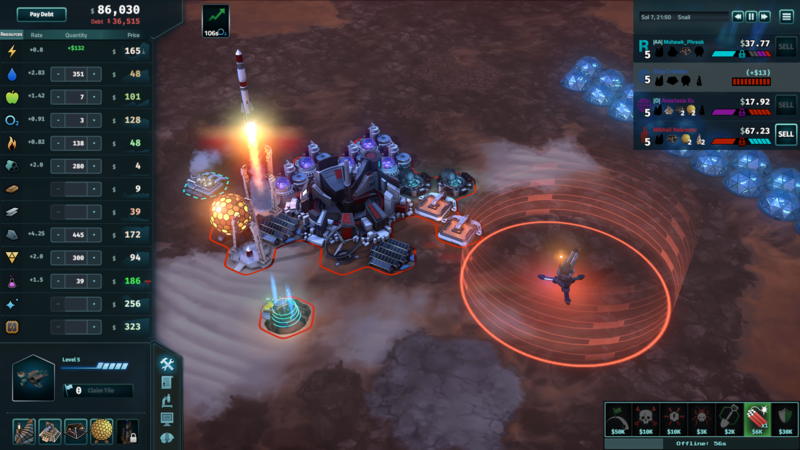 A lot a lot of passionate RTS players who had lobbied for what was in Escalation felt they were being asked to pay again for the game they wanted in the first place. Thus, the base's games Steam score went from "Mostly Positive" to something like "This game will kill your pets" on Steam even though the game has continued to get frequent updates, new units, etc. One engine: Two games. 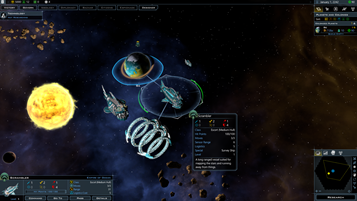 The base game for the mainstream and Escalation for the dedicated RTS fanbase. Which game do people want us to focus our energy on? And so here we are with the debate unresolved. Which kind of RTS do people want us to focus on? In the long-run, we need to focus on one RTS. So here is the plan: Let the market decide. 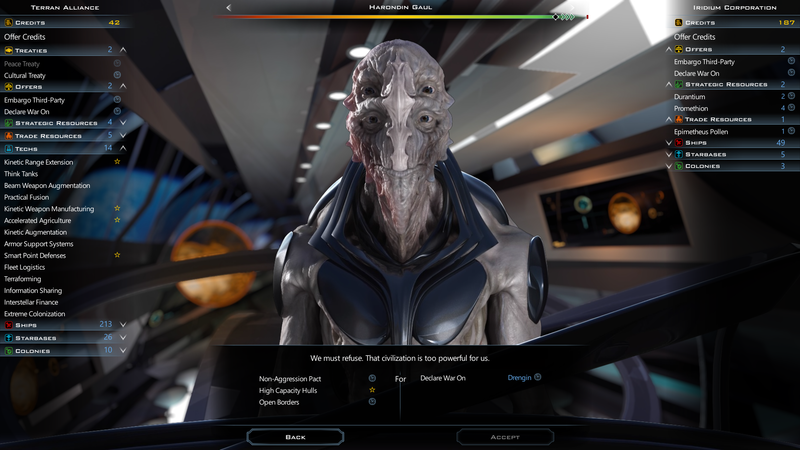 What we want to do is give everyone who bought the game in early access or earlier a copy of Escalation (provided Steam and GOG are okay with this). Everyone who bought the upgrade from Ashes to Escalation will get a season pass to the DLC we're adding to Escalation. Then, with user bases a bit more equal, we can see which game people prefer. Let the players choose which game they prefer based on what they actually play. Feature difference between the two. The game's hardware requirements today (4 core CPU, 2GB of video memory, 1920x1080 resolution min) ensure that it won't be a mass market game either way for some time. And we are fine with that. In the not-so-distant future, these hardware requirements will be mainstream and by that point, both games will have evolved. The base game will evolve so that it becomes easier to pick up and play. The price will continue to get reduced. The unit mix will continue to evolve (i.e. we may replace units with better, more interesting ones but keep the unit count reasonable). It'll still get new races to play, new campaigns and so on. But the game play will focus on being intuitive. Escalation will evolve to have more depth. 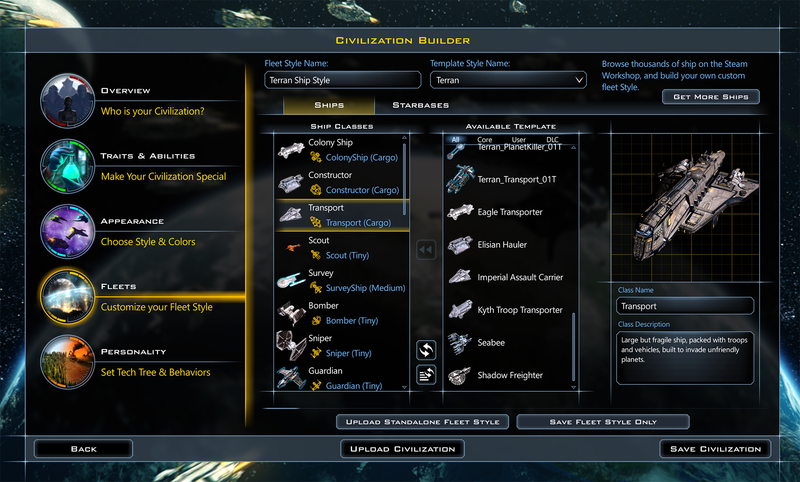 Naval units, additional resources, lots more units, more tech progression. There is a case to be made for both. It'll be interesting to see which one becomes dominant. Which game fits you the best? The base game or Escalation? And why? February is here and there is a ton of stuff to talk about. We have been working diligently on Vulkan support and I am pleased to tell you that we have it...mostly working. 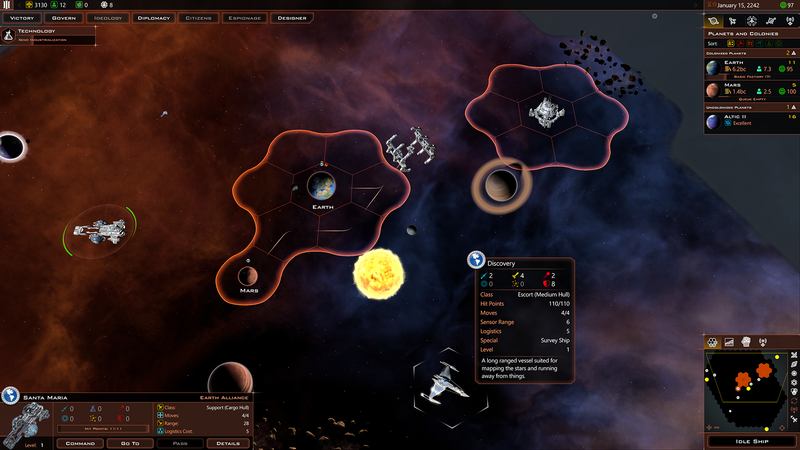 We are tentatively scheduled to release Escalation v2.1 (Ashes 1.51) on February 16. Unfortunately, Vulkan won't make it in there as it needs a little more time to bake. We have this. It's not super stable though so we're still working out the kinks. 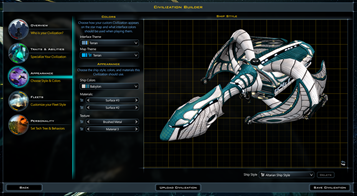 We expect to have an opt-in build available within the next couple weeks so people can play around with it. We've been working with General's Gentlemen on the design of this feature so that it will appeal not just to those who want to see a replay of their game but also for casters who want to cast games. I have an Ashes modding Skype channel where we're bouncing ideas around. 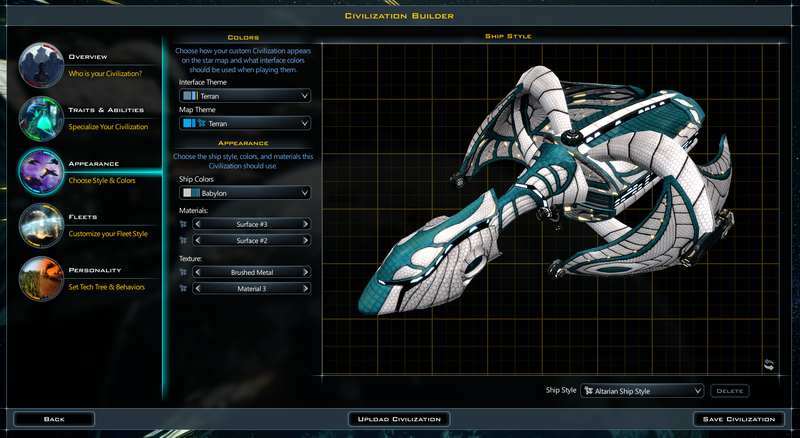 There is a fine line between "modding" and "end user customization". As someone who started out as a modder, I tend to take a bit of a dim view on modders who think they have to have commercial grade tools in order to make changes. 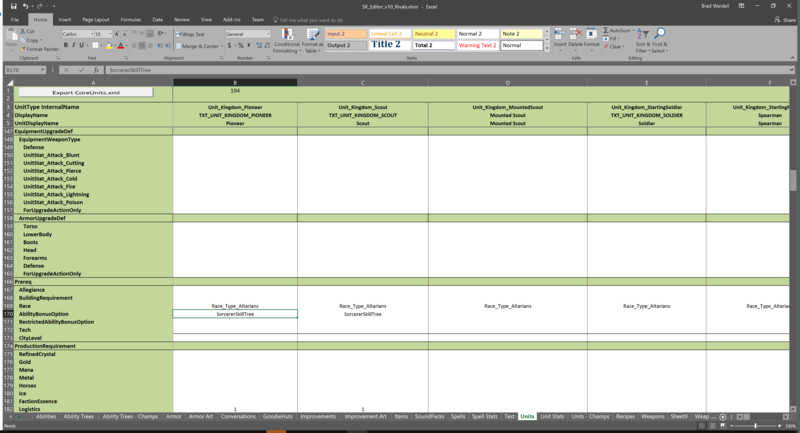 Making front ends to XML and CSV files is not super high on my priority list. I expect modders to be able to do this sort of thing. What I don't expect modders to have to do is: Reverse engineer the .OXModel format or hack the EXE to change game rules. Mod Manager. This will let you create your own mod in \documents\my games\ashes..\mods where you will have a file a .ashesmod file (i.e.bradsbalancemod.ashesmod). This file is a manifest for your mod tells the game where to look for your other files. You can mod those files right now and drastically change the way Ashes plays. Anyway, you can create your own versions of these files, put them in your mod folder and then have your .ashesmod point to them. When the game sees a duplicate Internal ID, it'll replace the one in game with yours. If you're into modding, you can practice this now by modifying one or more of the files there locally and see what crazy things happen. Ashes is coming to a lot of new languages. This will start with the big 2.1 (1.51) update. 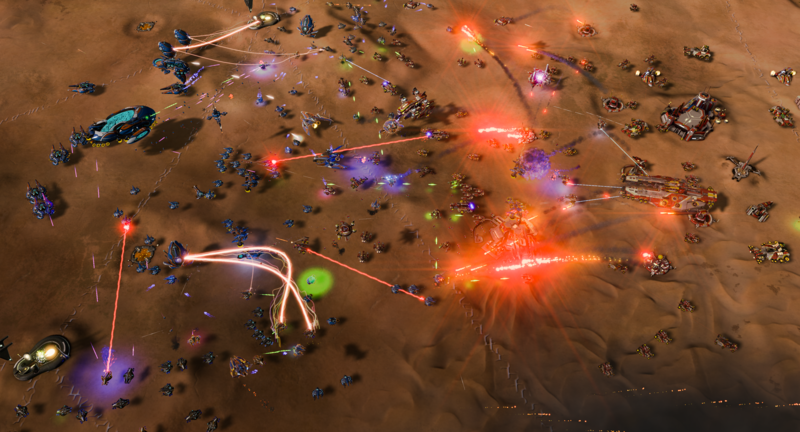 For easier maintenance, Ashes of the Singularity and Ashes of the Singularity: Escalation are going to have their code-bases merged. 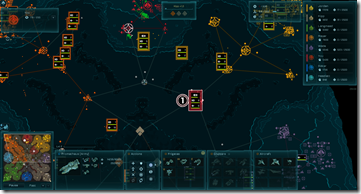 Thus, the base game will pick up a lot of the enhancements that are in Escalation (visual updates, engine update, UI update, etc.). 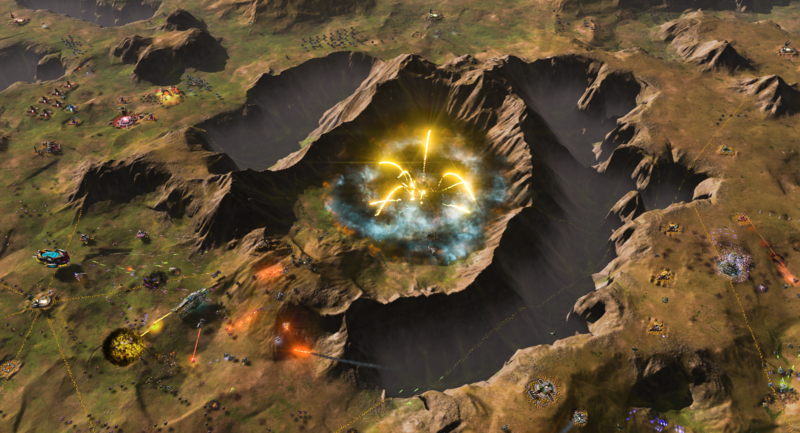 The goal is that we want Ashes of the Singularity to be the "mainstream" game and Escalation be the hard-core game. 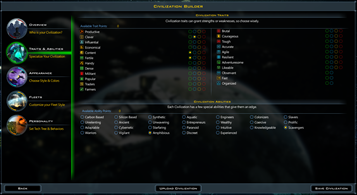 This frees us to continue to evolve Escalation in ways that would likely be unappealing to mainstream RTS fans (more resource types, more unit types, deeper economic features, etc.). And just to drive home the point how serious we are on this: We plan to give everyone who was part of the early access program a free license of Escalation (that's about 100,000 free licenses). Anyone who has upgraded to Escalation already or does so before we do this will get a lifetime pass Escalation DLC. And those who were part of our Lifetime Ashes Founder's program will be truly getting a lifetime pass to Ashes such as sequels. 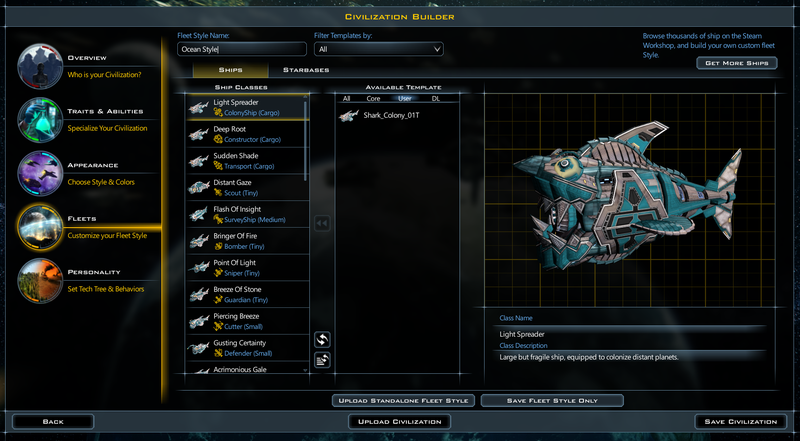 So if you were part of early access and haven't upgraded to Escalation, you'll want to do that before we do this. As many of you know, the base game sold a lot more than we had anticipated. 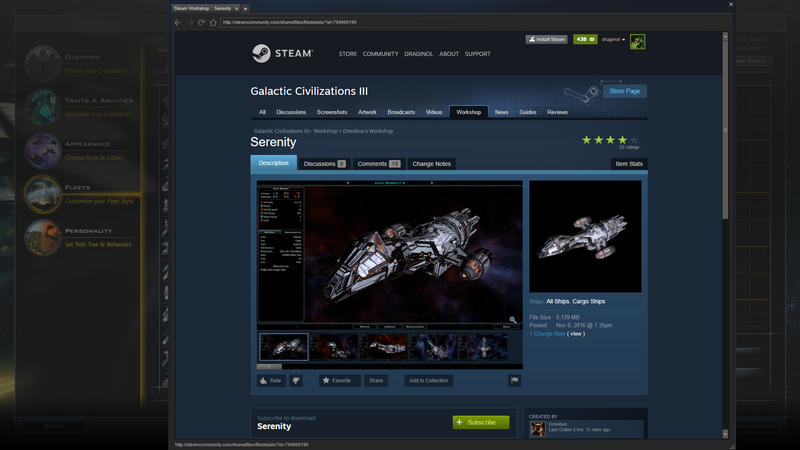 Remember: RTS games are supposedly "dead" and only MOBAs have a market. Combined with our hardware requirements, we presumed about 50,000 units in the first year. Thus, putting Escalation and the base game on equal footing, we can see which game has more players. Ashes or Escalation. 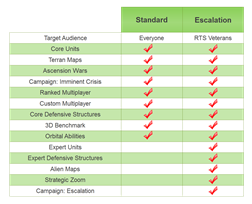 I know you hard-core RTS players are convinced that Escalation will win. Don't be so sure. I love them both but it's Ashes, not Escalation, that my friends tend to prefer for LAN parties due to the relative simplicity. In short: If you were part of the Ashes early access program (or likely bought soon after it came out) you will soon have an Escalation key too. Play whichever one you prefer. 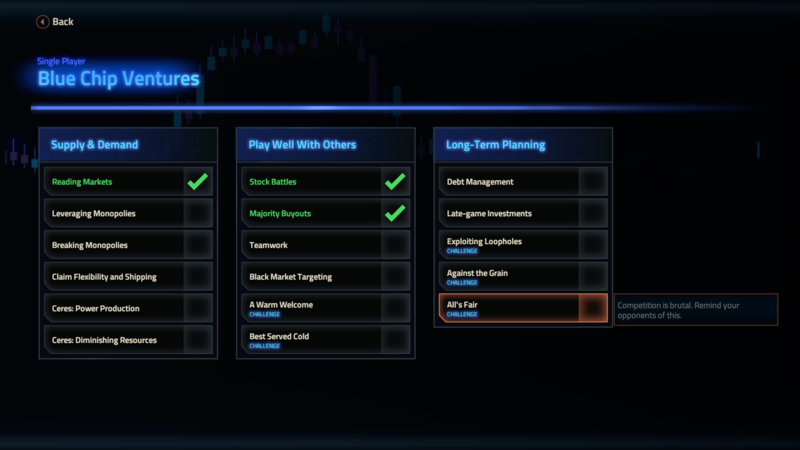 The market will decide which path the RTS community wants us to follow. In the "not a promise" category, Episode 3 is well into development. 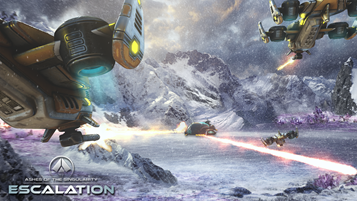 While Episode 3 will be DLC, Juggernauts will be a free unit added to the game. Each side will get one and they'll appear in Episode 3. 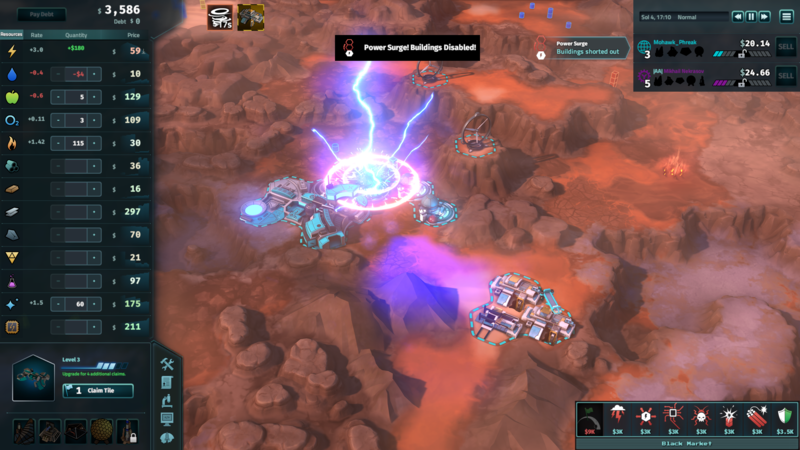 The base game, btw, will be getting Juggernauts too as they make a satisfying doomsday weapon. Right now, I have early Spring as the release date for this. 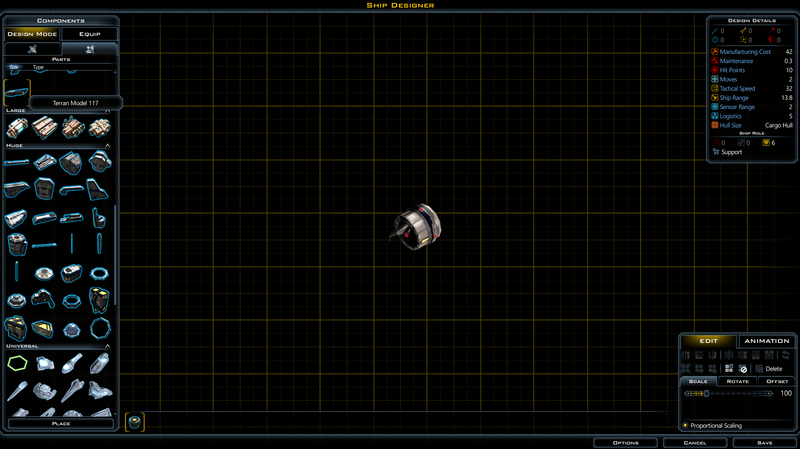 Where Escalation focused on making the game...well bigger, the next major area of focus is going to be water and naval. That doesn't mean it's the next thing on the list as we have a long list of things we want in this game first ranging from wrecks to more types of units to more single player and multiplayer replayability features (I'll be talking more about this in the near future). The one thing that we are excited about the most and that we hope we can persuade you to be excited about is that this game is still at the start of its life. Go look at every other RTS on the market. Go. I'll wait. Ok, I will keep nagging about this but it is non-trivial to make a major RTS. Even Microsoft struggles with it (Halo Wars for instance). It is tough. 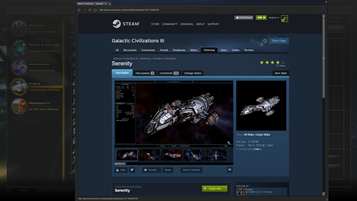 And here we are (you guys and us) with a fresh engine designed specifically for RTS games that supports DirectX 12, Vulkan and as many CPU cores as you can throw at it. Right now, that's all really just potential. But as any SupCom player can tell you, the tech does matter because it determines the long-term evolution of the game. So that's all for this month. 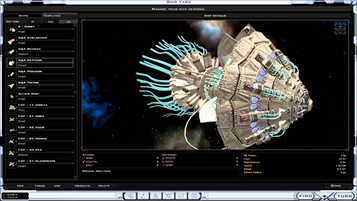 Ship design has been part of Galactic Civilizations games for many years. 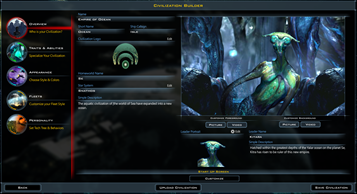 However, with Galactic Civilizations III, the designer has reached the point where user creations are starting to rival what you would see in movies. 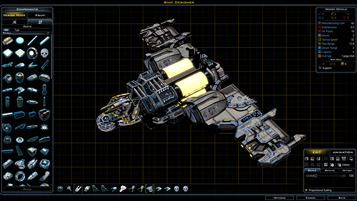 The ship designs we included are wholly original creations based on the lore that's been developed over the past 25 years. 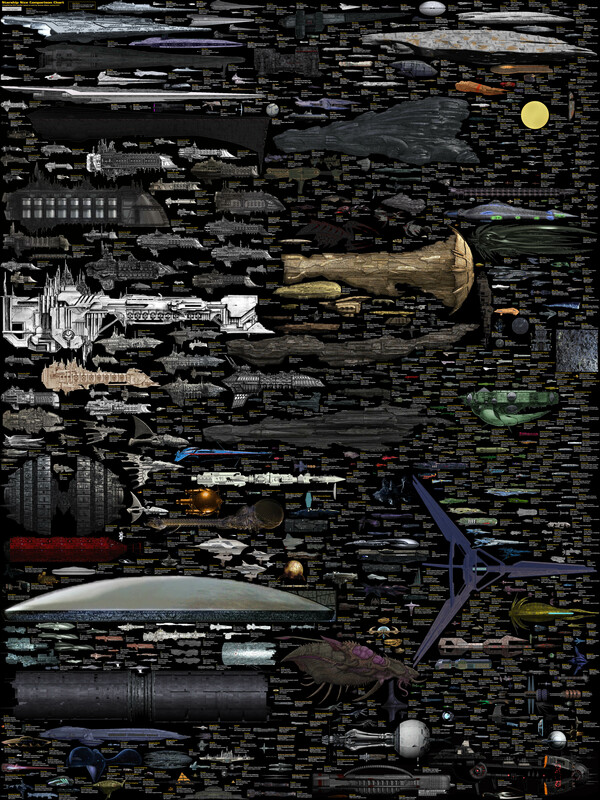 The ship designer itself lets people put together thousands of parts to create whatever they want. For the serious designer, they start from scratch. This blank screen with a collection of parts is the starting point. As you add parts, you will see red dots where you connect other parts to it. In the hands of a clod like me, I can design something like this in minutes. 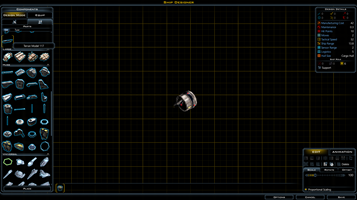 The controls in the bottom right let me resize, rotate, animate, etc. 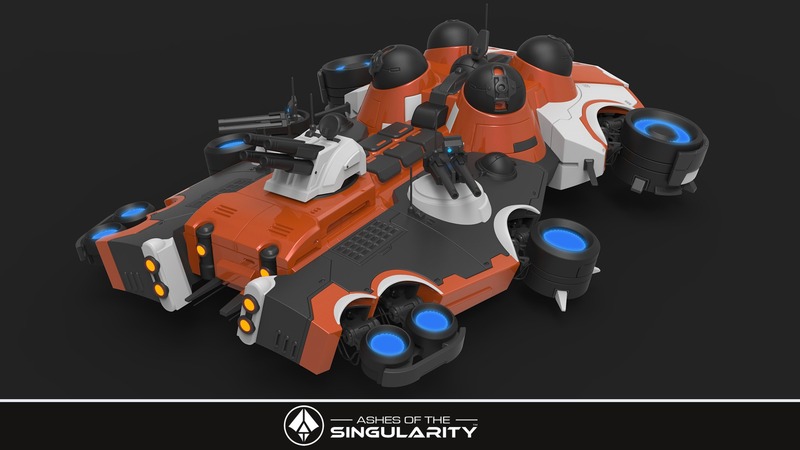 In the hands of someone with some skill, you can get something like this such as this Babylon 5 inspired Starfury like ship. Because ships are hard surfaces, it's relatively easy for someone to create pretty much any ship. 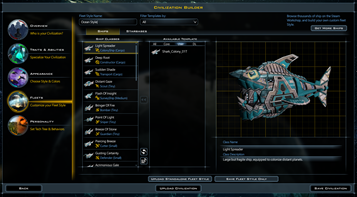 Organic ships tend to be a lot tougher to make. But most ships are ultimately a series of wings and cylinders. Obviously, we don't include any of these designs, even inspired ones, with the game. The point of the ship designer and the fans who share their ship designs is to create their own stories in their heads. There is a cottage industry of people who compare different ships sizes, write fan fiction regarding their favorite ships. 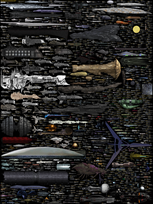 Ship size comparison on deviantART. Anyway, the point being, what people create and share with our tools is up to them. 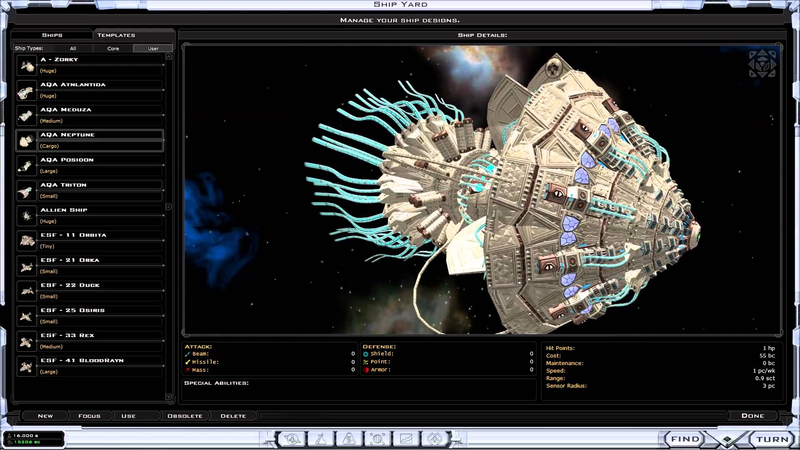 Galactic Civilizations has always been about creating your own sandbox universe to play in. It asks the question: What happens after we leave Earth? What is next? And leaves the answers up to the player. If you have any questions, feel free to post in the comments. Explore. Expand. Exploit. Exterminate. This is where the term "4X" originates. The granddaddy of our genre is, of course, Sid Meier's Civilization. 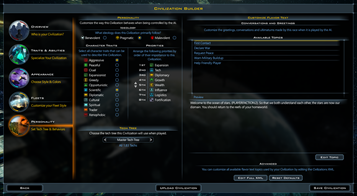 Where Sid Meier's Civilization leverages our common history from the dawn of agriculture to the moment we leave the Earth, Galactic Civilizations begins at the moment we leave our home world. In Galactic Civilizations, players create their own histories. Each game is a different possibility. When we released Galactic Civilizations III, we began taking notes on what players wanted to see in future updates or expansions to it. 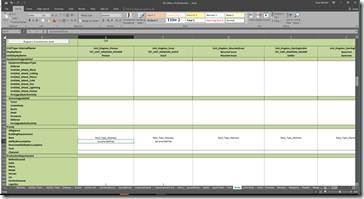 Many of the features ended up in updates which culminated in the recently released 2.0. Other features would take a great deal of time and thought to do. 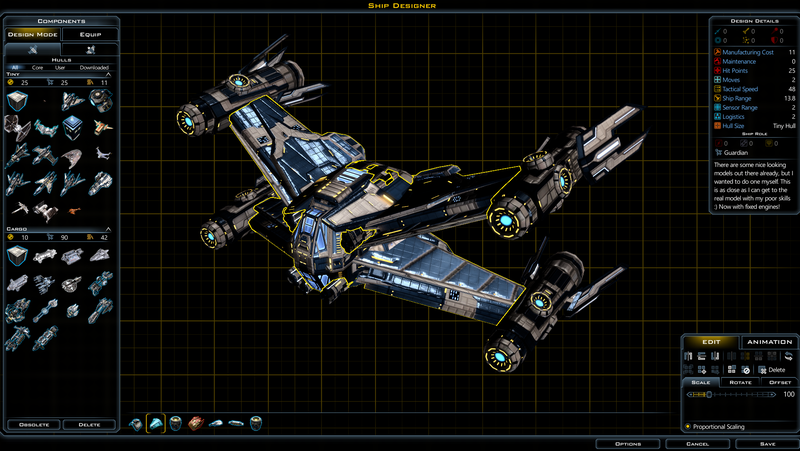 The biggest, most important features have come together in Galactic Civilizations III: Crusade. 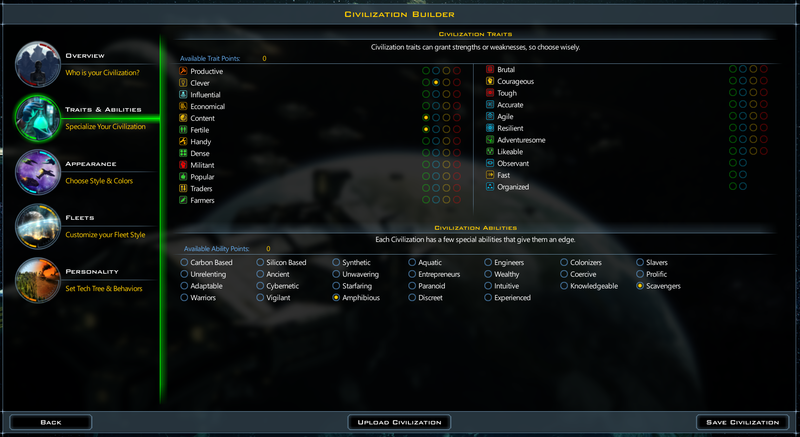 A Civilization Builder for creating and sharing full-fledged civilizations including ships, techs, custom diplomacy behaviors, etc. An economy based on citizenship that allowed players to macro or micro manage their civilizations based on their preferences in a way that didn't penalize either play style that eliminates sliders and dials. Espionage for spying and sabotaging your opponents. 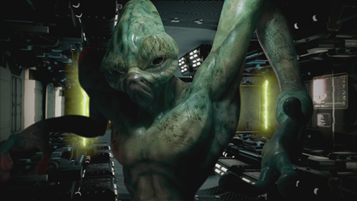 Interactive Invasions that make invading a planet a game unto itself. 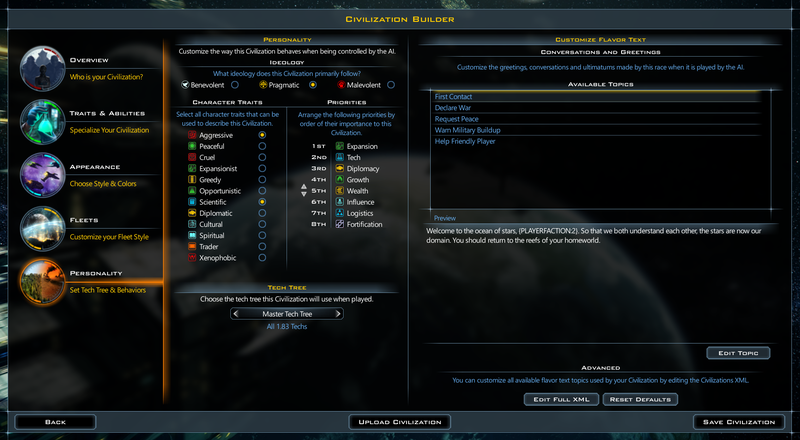 A better UX for managing large and small empires alike. These aren't the only features in Crusade of course. Far from it. 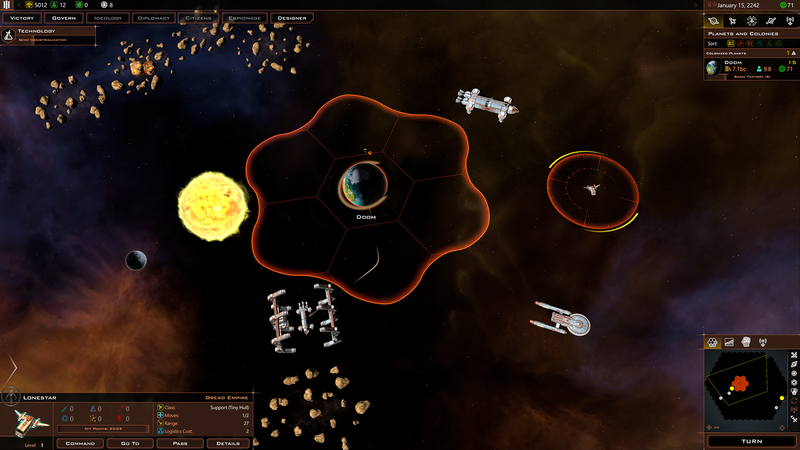 It doesn't even touch on the Crusade campaign, the new alien civilizations, the new graphics engine, the new resource system, the combat changes, the continued evolution of the AI (I am happy to say that the free update to GalCiv III in v2.0 now surpasses the AI in GalCiv II -- sorry it took so long, I'll be happy to discuss AI coding in another diary entry). 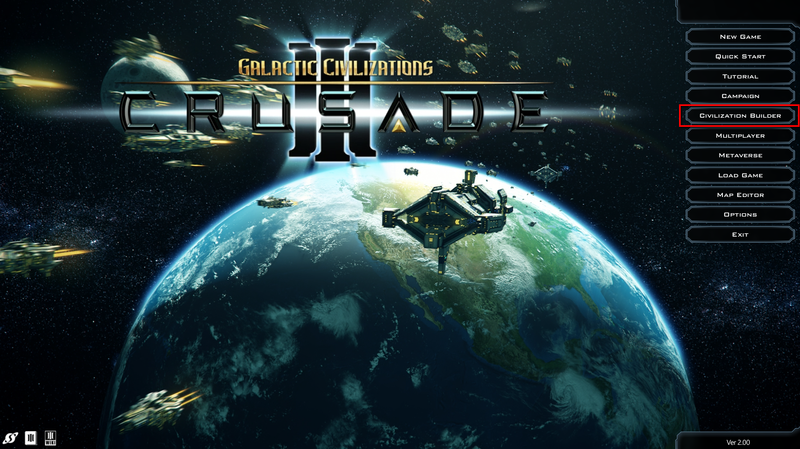 February 9, we will walk through how you can build your own civilization to play as or to play against including how to assign specific ships for different roles, share your creations, create diplomacy behavior and more. February 16, Take a tour of the all new citizen based economy. Gone are sliders and dials and in their place are your people. Much strategy (and AI coding) goes around how to get the most out of your most valuable asset: Your people. February 23, The galaxy is a dangerous place. 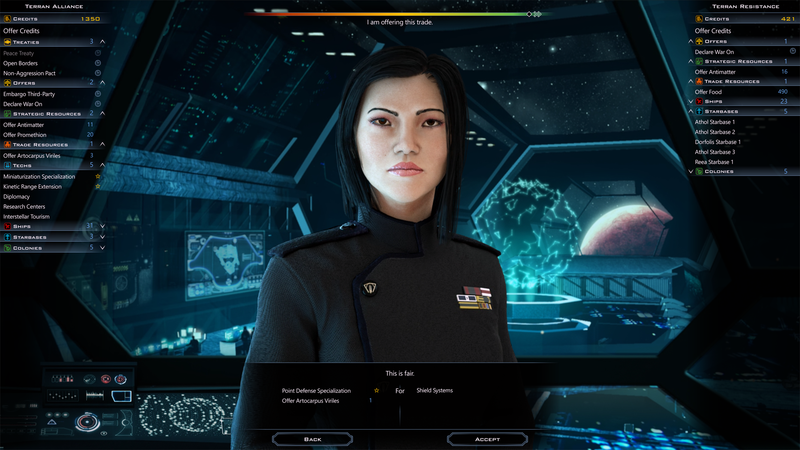 One of the vocations your citizens can take is to be trained to be spies and sent on dangerous missions. We will walk you through how espionage works, its consequences and the importance of knowing who is doing what and when. Q: Will Crusade be a stand-alone expansion? A: No. 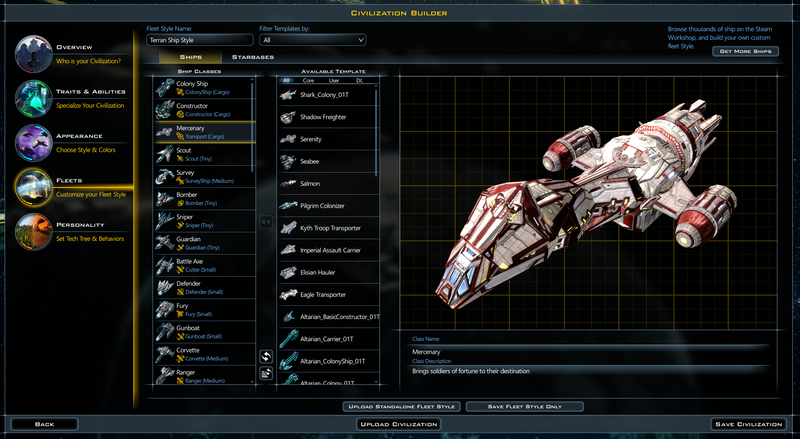 It will be released as an add-on to Galactic Civilizations III (DLC). A: Our target date is Spring. Q: Will there be a public beta? Q: How will I be able to get it when released? A: It'll be on Steam, GOG, direct and elsewhere as a DLC to Galactic Civilizations III.